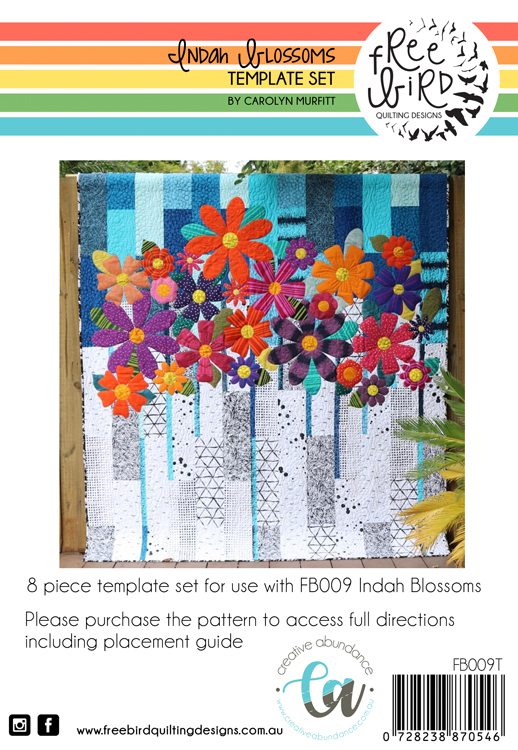 Indah Blossoms is a beautiful, bright floral lap size quilt. The very simple but effective pieced top is made from a selection of contrasting fat quarters. Favourite scraps of fat sixteens are perfect for the appliqué flowers. 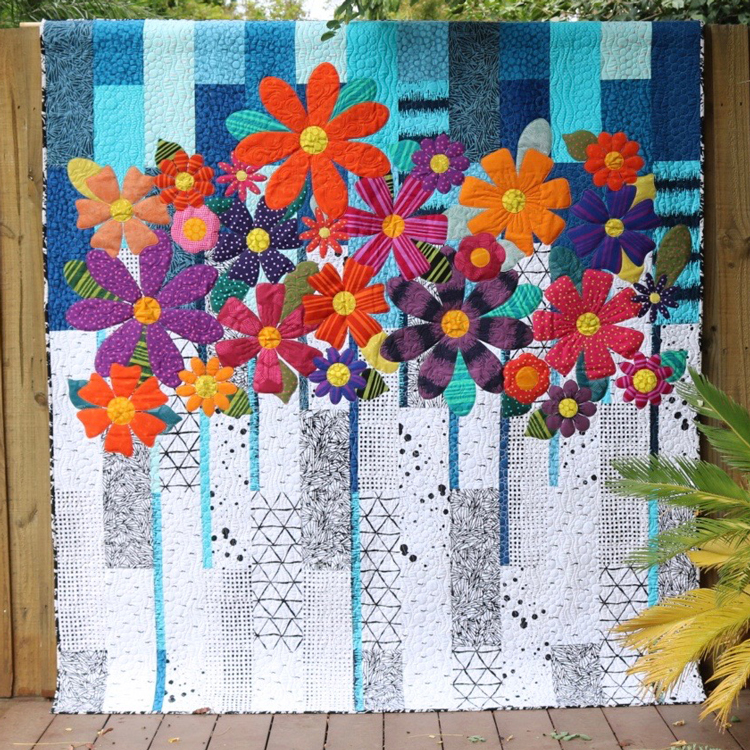 This quilt is made in three sections, making it easier to sew on the appliqué pieces. Finished Size: 79" x 72"